Las Vegas plays host to a whole range of food trucks that serve everything from desserts to dinner. Local favorites include Grouchy John’s, Fuku Burger, and The Cookie Bar, but besides taking a look at the websites and Twitter pages, it’s not always easy to find where they congregate. There may be lists and guides of popular food trucks throughout the Valley, but they don’t always let you know where they are. There’s talk of a food truck paradise in Spring Valley where 36 trucks would have a more permanent home, but for now, these eateries still roam Las Vegas daily. 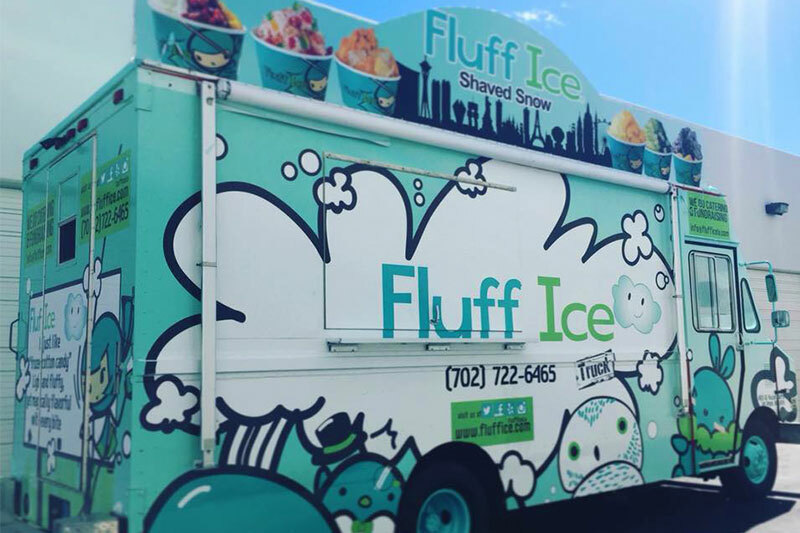 For those times when you want a food truck, these neighborhoods around Las Vegas are the best spots to find them. Although often thought of as the suburban hub of Las Vegas, Henderson is a surprisingly good place to find food trucks. Every week, the up-and-coming neighborhood Inspirada hosts regular food truck pop-ups, usually on Fridays. Fresh 52 Farmers Market hosts both local produce vendors and food trucks at both of their weekly locations in Inspirada and central Henderson. The Henderson Farmers Market is also a great place to find food trucks; they stop on Water Street on Thursday and Green Valley Parkway on Friday. Also a prime location for food trucks, “Last Friday, Just Add Water Street”, takes place throughout the year on the last friday of every month. To benefit local charities, it showcases emerging arts, culinary arts, and performing arts. 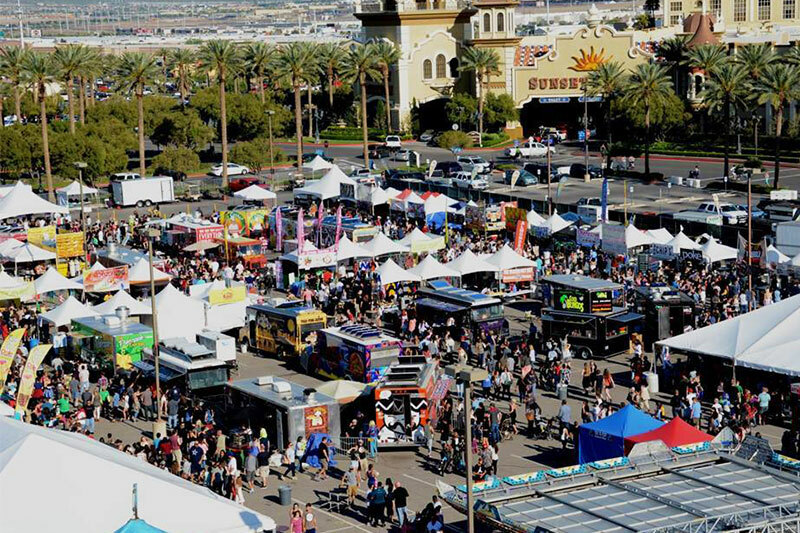 Great American Foodie Fest has also been known to make an annual appearance in Henderson, where vendors like Strip Chezze, Okamoto Kitchen, Dragon Grille serve up great food. 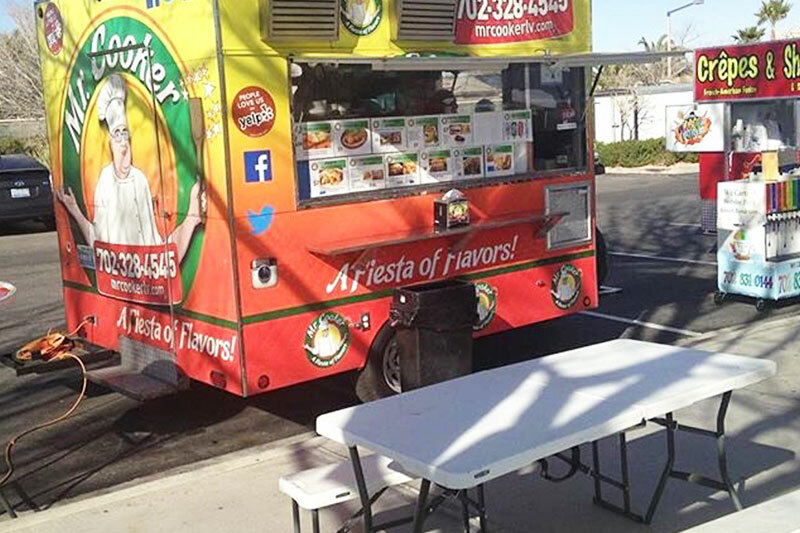 Every Saturday on Cactus Road, Food Truck Frenzy brings ten food trucks and live music to Enterprise. Recent vendors include Umami Poke, Big Rick’s Texas Tacos, and Kraken Cafe. 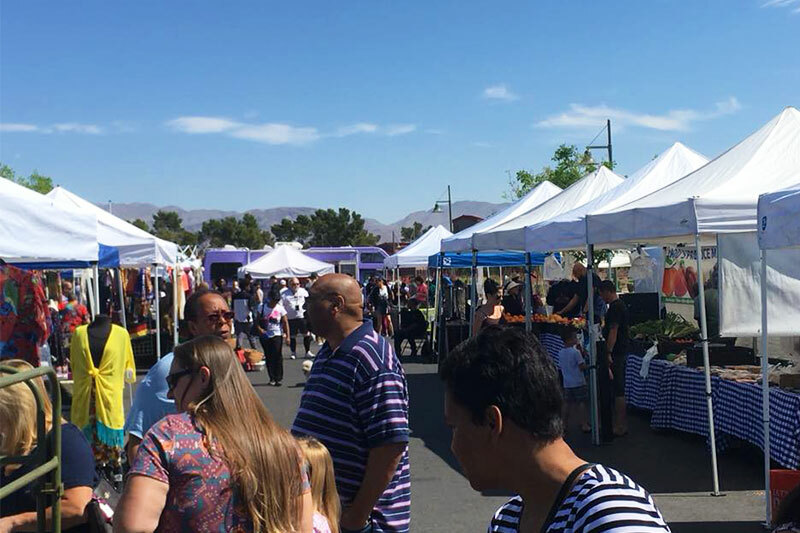 Both Downtown Summerlin and Tivoli Village host weekly farmers market, where you can find not only fresh fruits and vegetables along with handcrafted breads and pastries but also food trucks. Las Vegas Farmers Market and Tivoli Farmers Market on Saturdays are ideal spots to find vendors. 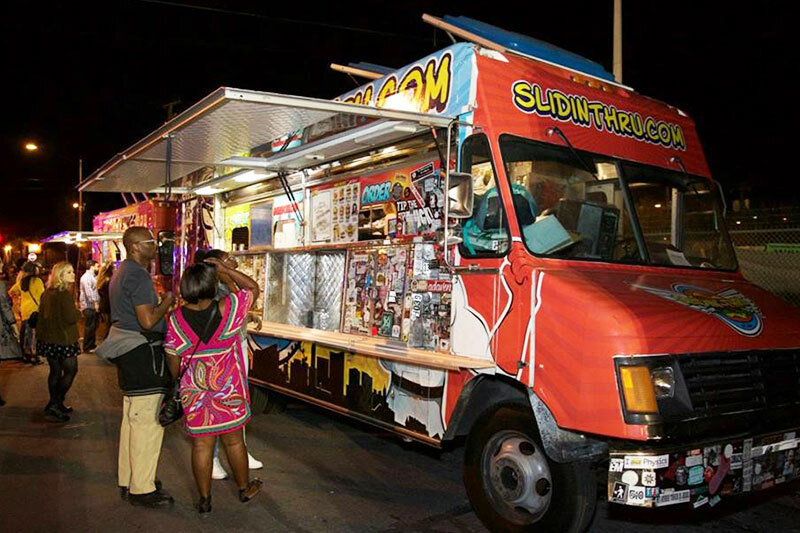 First Friday is not only the ultimate monthly art and food festival in Las Vegas, but it’s also one of the best events in town to find Vegas food trucks, where local favorites like Sausagefest and 50 Shades of Green appear monthly. Fremont Street is also a regular stop for trucks like Cousins Maine Lobster and I Luv Cotton Candy. 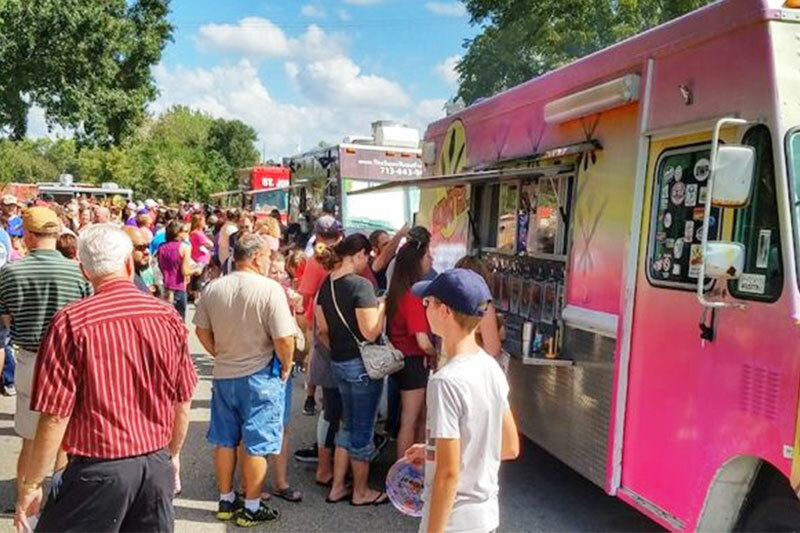 Yearly events like Life Is Beautiful are also an ideal place to find food trucks alongside temporary pop-ups from brick-and-mortar shops around town. The Arts District recently debuted Urban Foodcourt, a street food pod that will give 10 food trucks a permanent home on Main Street and Colorado Avenue, one of the first centralized food truck locations of its kind in the Valley. Craig Ranch Regional Park is a well-known spot for local events in North Las Vegas, a sizable 170-acre park where events throughout the year like Love In feature local foodie favorites. Sunday’s On The Ranch Market is also a great place to find local food vendors.